Beijing is insisting that reports of the death of Jiang Zemin are "pure rumor." Xinhua issued a terse denial that the former Chinese President had passed away. A ministry of foreign affairs spokesperson curtly refused to comment on the talk. The rumors began on Friday when Jiang failed to attend the 90th anniversary celebration of the founding of the Chinese Communist Party, and speculation has been swirling on Sina Weibo, the popular Chinese microblog. When you search for any of the above terms, you get the following message: "According to the relevant laws, regulations and policies, the results of this search cannot be displayed." Interestingly, a number of related terms are still searchable on other top Chinese Internet destinations like Baidu, the search engine giant. • "Jiang Zemin." Chinese Netizens can still search his name and information related to the former Chinese leader, even access reports about the rumors of his death. 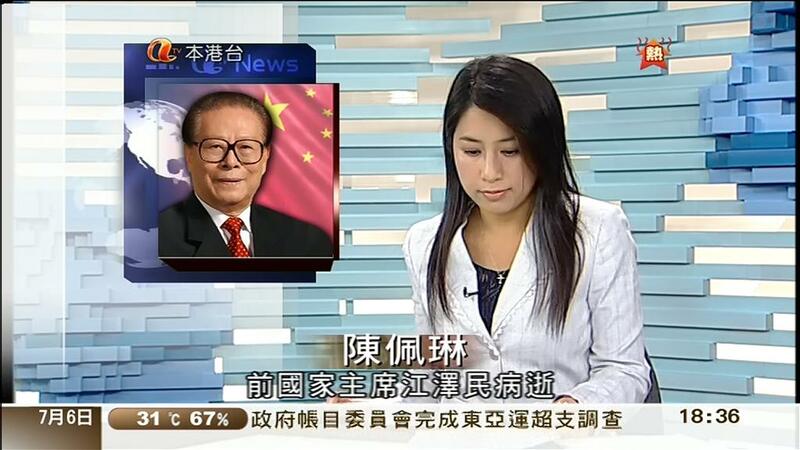 In Hong Kong, broadcast ATV led last night's newscast with a report that Jiang died citing unspecified sources. The report did not mention key details like the time or cause of death. ATV has since issued a statement apologizing to viewers and the Jiang family about the report. Such speculation is unlikely to end anytime soon, unless Jiang Zemin makes a public appearance. would you not leave China alone? would Jiang live forever? What an all 'round amazing post! Gaddafi is a friend of the West (Italy and Britain) not of China. His oil msltoy goes to Western countries. His contracts msltoy went to Western companies. His best friends, Tony Blair and Berlusconi are/were Western leaders. He went out of his way to block China attempts to compete for contracts. The irony is that virtually every Arab leaders under threat of popular overthrow are all bosom buddies with western nations who have helped prop up their autocratic regimes for decades.You can bet that China took great pleasure in supporting sanctions against him. I am in accordance completely. Jiang probably rergets his failure of power. This makes him look stupid and inadequate to his peers and family. He short circuited the CCP's grip on China with his persecution of Falun Gong practitioners. He and his accomplices will be held accountable for every person they tortured and murdered in the future. That is his legacy to be left for history. I couldn't agree with you more..
Generally, ordinary Libya peploe treat Chinese good. I got the message that they do not envy Chinese labor, because they are unwilling to work. Many of them would rather live with subsidy for oil, house, food, than go to work to earn money.The fact is that Libya's territory has nearly one-fifth size of China's land area, but the population is less than 7 million, equivalent to one third of the population of Beijing. Libya do not has much of the labor force to do work in the field of petroleum, mining and construction. Biggest population of foreign workers in Libya is not Chinese, but from South Asia. I think the reason that Some Libyan officials are unfriendly to China is mainly for ideology. Gaddafi’s character is changeable, but he also tries to maintain the friendship of China and want to have a balance between China and the West. He had not often come to China, but his successor, and his son Saif visited Beijing in 2009, pledged to cooperate fully with China.